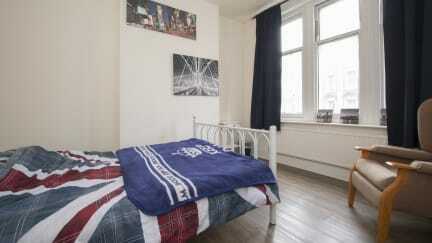 This family owned Hostel is located directly above a traditional London bar and restaurant, providing an original homely London experience for all our guests. An easy walk from many of the iconic sights that make London a truly great city. Big Ben, the Palace of Westminster and the London Eye will all become your neighbours, for a stay in one of the world’s most famous capitals. Stroll along the Thames, take in the sights and sounds of London’s marvellous Southbank; home to street performers, world class entertainment, eating and urban intrigue. Explore the cities’ many, monuments and museum and markets with easy access to the Tube (underground) and London’s world famous red double decker buses. You’ll never be stuck for getting where you’re going or getting home after a late night out. Enjoy (free!) 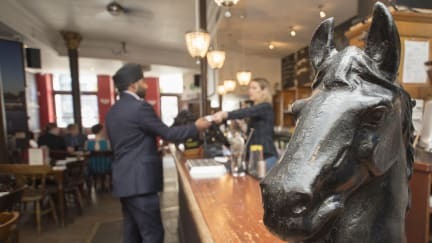 breakfast in our downstairs bar, which has been serving Londoners, and folk from further a field since well before you - or any of us - were born (best as we can tell it’s been around at least since the 1850’s). The traditional pub-grub from our downstairs restaurant is still done the old-fashioned way; home-cooked in our kitchen each day and made all the more tasty for any of our guests who receive 10% discount on all food and drinks. Complimentary tea, coffee and biscuits are free anytime (this is London after all). Our local high street is also home to a weekly market, great independent retail, cafes and all the local amenities you may need. Our staff will be happy to help advise you about the rest of London’s many landmarks near and far, and share a little local insight. Come consider yourself at home, while you experience a truly great world city, with great company. The hostel looked great and neat and the staff was very friendly! The only minuses were that during my stay it was very very hot. I knew our room did not have air conditioning, so I emailed the hostel a few days in advance and they told me they could provide a fan. This was however not the case, so the room was very hot. It was also right next to a very busy street. We wanted to leave the window open for cold air, but were awake all night because of the very loud traffic. Restrooms, breakfast, atmosphere were great. Only thing that could be better are the rooms, they are quite old-fashioned and not that well taken care of. Nice bar and personnel. Friendly atmosphere. The rooms are simple, beds are not that good. Too little showers and toilets. Only 4 showers in the whole hostel of which 3 weren't working properly. Bij de aankomst bij het hostel stond niet goed aangegeven waar je je als gast moest melden. Vervolgens ben ik door redelijk vriendelijk personeel naar mijn kamer verwezen. Hier bleek echter dat de kamer erg warm was (in eind januari...), je de bar beneden goed kon horen en het allerergste waren de matrassen. Die hadden in het midden zo'n diepe kuil dat de zijkanten er van omhoog stonden. Ook waren er erg weinig sanitaire faciliteiten voor het aantal kamers. Ik kreeg mijn geld niet terug.